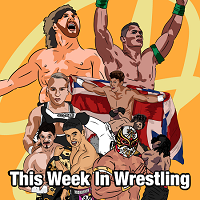 This Week in Wrestling features Pete, Johnny and Tim covering WWE, ROH, and other prominent wrestling shows. Each show also features a match discussion from the NWA On-Demand service as well! Pete and Tim watch some wrestling and share their thoughts on the matches, promos, and angles. 1.CWF Worldwides 100th episode….